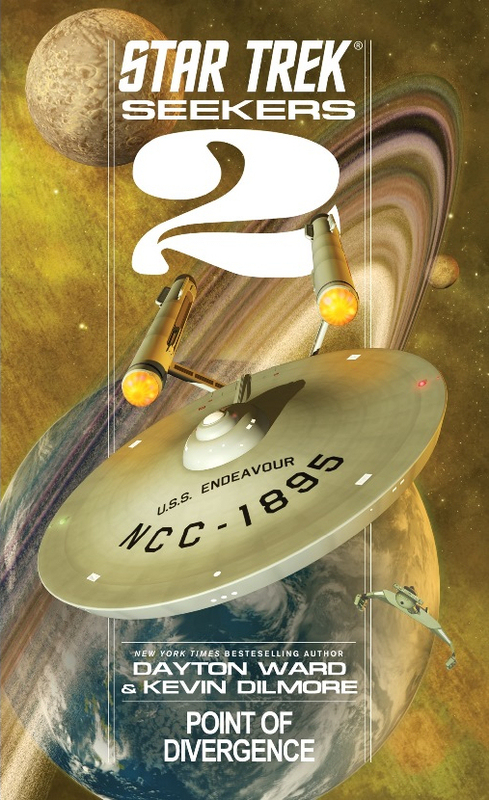 Been looking forward to seeing the retro glory of Rob Caswell's covers for the new Vanguard spin-off series, Seekers? Me too, and here they are, revealed by USA Today! UPDATE: Dayton Ward has now posted them at higher resolution, yay! 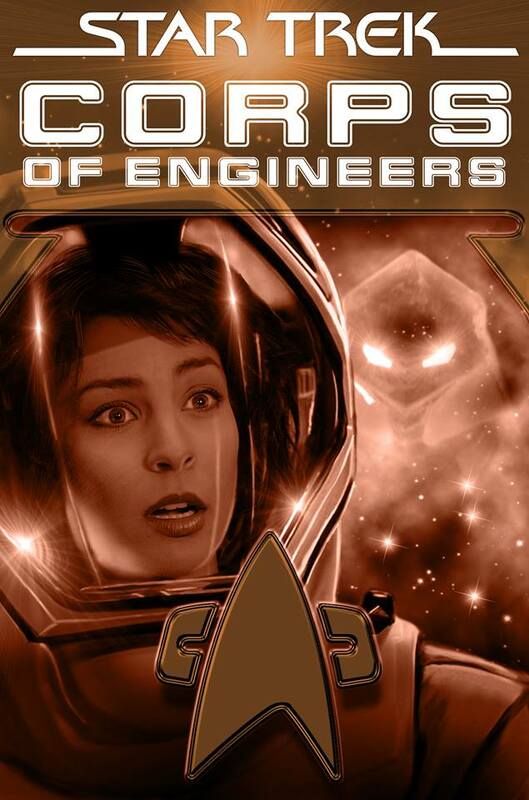 You might recall the Seekers series was in fact inspired by Rob Caswell's cover designs for a series of novelization covers for an imagined Star Trek spin off series, The Seekers. You can see the whole series, with a commentary from Rob, in a feature I did a while ago. "Heavy stun! Aim for center mass!" Behind her, Dastin aimed his weapon half a second faster than Tan Bao and Hesh. As Nimur let the misshapen husk of Ysan's body fall in a heap, the wounded Wardens struggled to get up. A few of them started to aim their lances once more at Nimur. All the Wardens' heads twisted one-hundred-eighty degrees in a fraction of a second. The breaking of their necks sounded like old-fashioned firecrackers. Then there was nothing between Theriault and the demonic force once known as Nimur. Four blue phaser beams screamed through the darkness and slammed into Nimur. Their combined force launched her backward several meters and knocked her onto her back. For a moment, the crackling electricity on Nimur's hands ceased, and the fire in her eyes dimmed. Then her eyes flared white and a brutal, invisible blunt force struck Theriault. She and the rest of the landing party landed in a tangle of limbs, all of them stunned and groaning in pain. She blinked to clear the spots from her purpled vision and staggered to her feet. With her phaser clutched in her outstretched, unsteady arm, she looked for any sign of Nimur. Behind her, Dastin rubbed the back of his head. "Is it over?" Theriault holstered her phaser. "I've got a bad feeling this is just getting started." Continue after the jump for more books news, including a new Cross Cult cover, and the latest from Christopher L. Bennett and Keith R.A. DeCandido. Cross Cult's latest cover art release is for another story from Dayton Ward and Kevin Dilmore featuring a Constitution class ship. 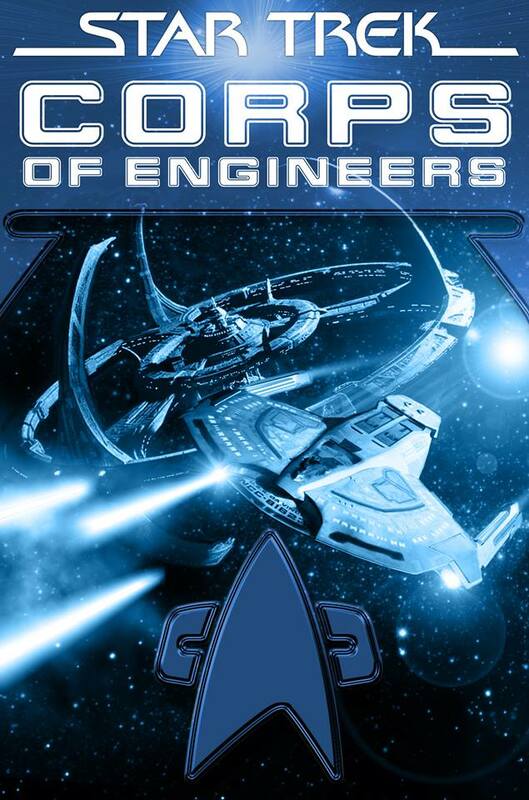 This time the USS Defiant in the Corps of Engineers ebook novella Interphase, Part 2. If Cross Cult follow the bimonthly release partern they have established for this series, then I'd expect this German language edition to be out in December. ...the political dynamics in the early Federation are definitely a commentary on what’s going on in the United States and elsewhere in the world, with extremist or reactionary factions becoming more militant and attempting to undermine the process of cooperation and compromise that’s necessary for democracy to work. It’s good to have different parties representing different worldviews, so everyone will have a voice; but as the Vulcans say, the key is diversity in combination, not in relentless opposition. 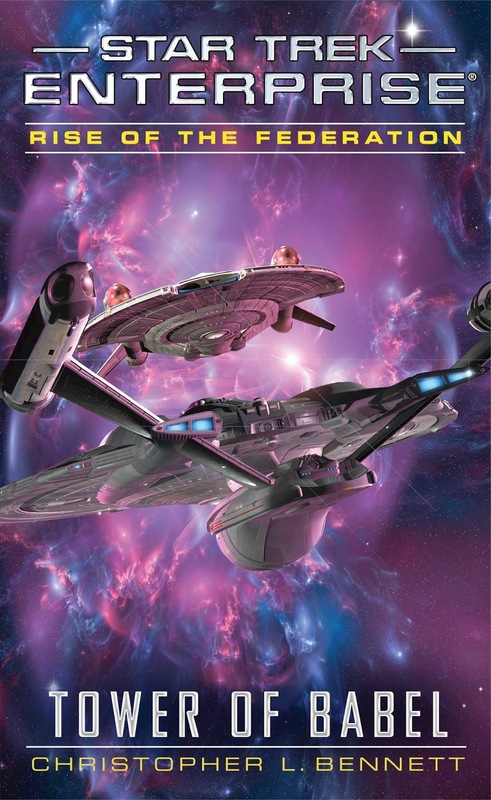 Well, the title itself is an allusion that, along with the time frame of the book, should provide a hint about one key event involving a familiar Trek character. It should also come as no surprise that the book will focus strongly on Vulcan, as well as on the story thread introduced by the “post-credits scene,” so to speak, of Tower of Babel. I set up the series’ main recurring antagonists and arcs in the first two novels, but now I want to vary things up and broaden the universe some more while the main arcs continue to simmer in the background. I’ve set some things in motion that will take more than four books to pay off. And there are other events in the late 2160s that I have plans to cover. And yes, I do have a particular climax that I’m aiming for, and I have resolutions in mind for many of the main characters, though they won’t necessarily happen all at once. The Collectors is different from the previous two DTI tales in that it’s not about tying together threads from previous Trek time-travel stories. It’s a straight-up DTI adventure, taking ideas and characters that I introduced in Watching the Clock and that are specific to the DTI milieu itself, and just flat-out letting my imagination run wild with them. I totally cut loose, and I had enormous fun with it. 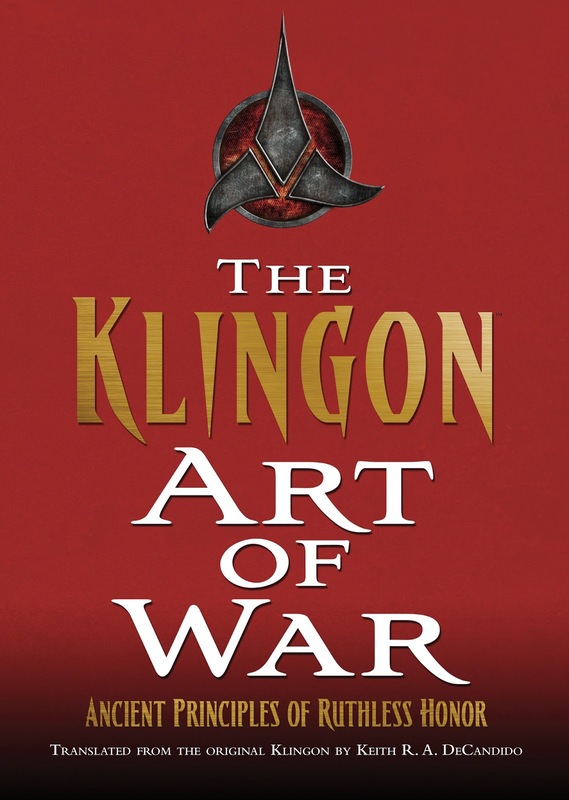 With The Klingon Art of War, it's an attempt to provide a philosophical base for the culture, something that's at the same time actually useful as a guide to living one's life to the fullest. I've been joking that this is my first self-help book, but it's not entirely a joke—there is, I think, some stuff here from the fictional history of Klingons that can be useful in everyday life. To that end, there's not just stories of warriors and heroes and emperors here. I made sure to try to include stories of the lives of more workaday people, of the non-warriors. I think probably my favorite was the Ninth Precept, because I really enjoyed writing the story of Kahless's final confrontation with Molor, a battle that was first described in "Firstborn" on The Next Generation, and which has been established as the final battle Kahless had to win in order to unite Qo'noS. I also made a conscious decision to make sure that there were anecdotes regarding Kor, Kang, and Koloth, but also that they weren't any of the events we saw or heard described on screen. Those three lived long lives, so rather than rehash something we learned in an episode we can see on DVD any time, I came up with new adventures for all three of them. I recently posted several preview pages from the book, and Amazon now has a few more you can check out using their Look Inside preview feature. 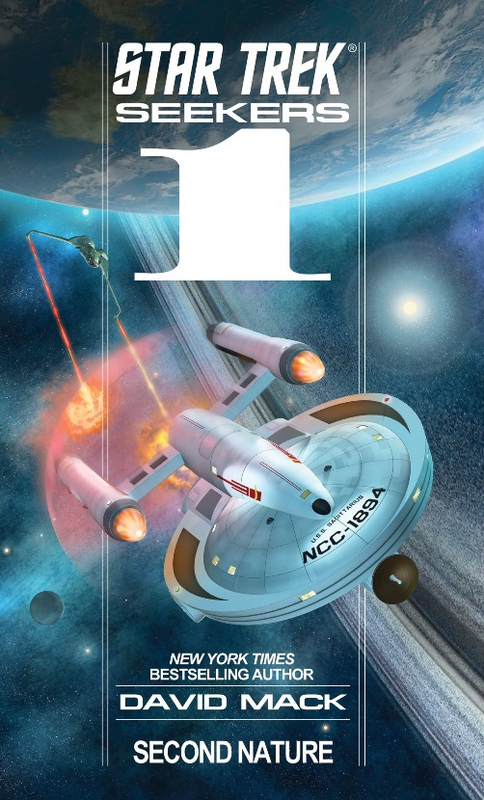 For more details of current and forthcoming Star Trek books, hit one of the books buttons at the top of my schedule page, to find listing of the year's releases, and links to my previous coverage.